I adore going for afternoon tea, it’s one of my most favourite hobbies (eating tea and cake is a hobby – yes?) and I especially love finding new places to try out. Last week I turned 30 and surprisingly I wasn’t fazed by it at all. I always said I wanted to be married, in a good job, driving, pregnant and own our own house by that time and so far we achieved almost everything on that list apart from owning our own house. The deposit is there, we just haven’t found the right house yet. 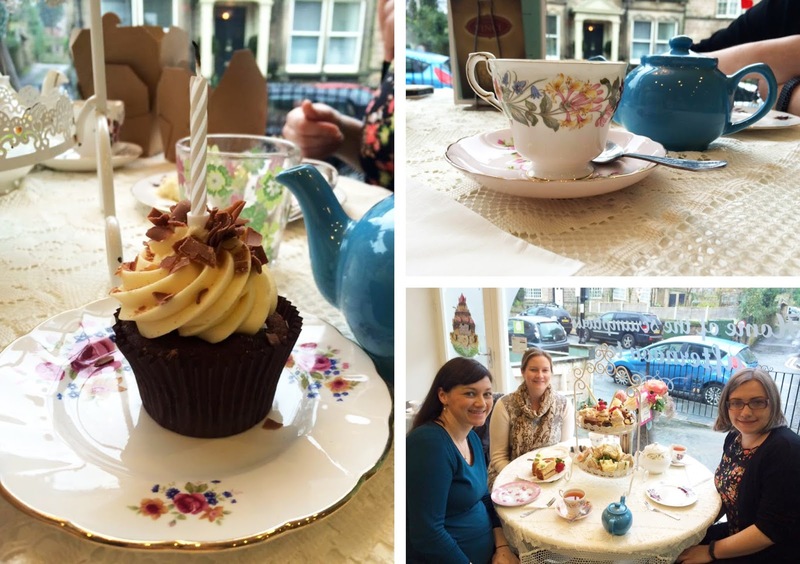 When I was asked how I wanted to celebrate my 30th all I wanted to do was go for a nice afternoon tea with my friends and a yummy meal out with Mr T (he’s not a fan of the sweet stuff – weirdo!) as anything more hard-core is out of the question with me ready to pop in the next few weeks. We booked for the Blackhouse 50% off January sale and it did not disappoint and I wanted to do something as equally yummy with my friends but much more cake orientated. I had seen a few posts on Facebook about MamaDoreen’s and after a bit of googling I found there to be one in Leeds and one in Harrogate. We opted to go to the one in Harrogate as it’s only 20mins away from me, one of my friends who was coming lives there and it’s on the train line for my other friend who was coming too. 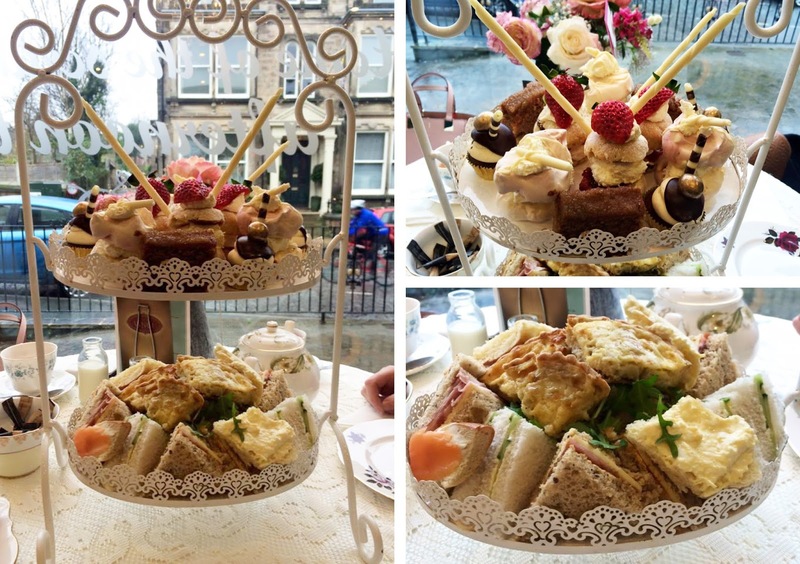 It’s just up the hill from Bettys this quaint little tea shop is all kinds of amazing! The shop area is bursting with delicious baked goodies that we all somehow managed to resist buying. 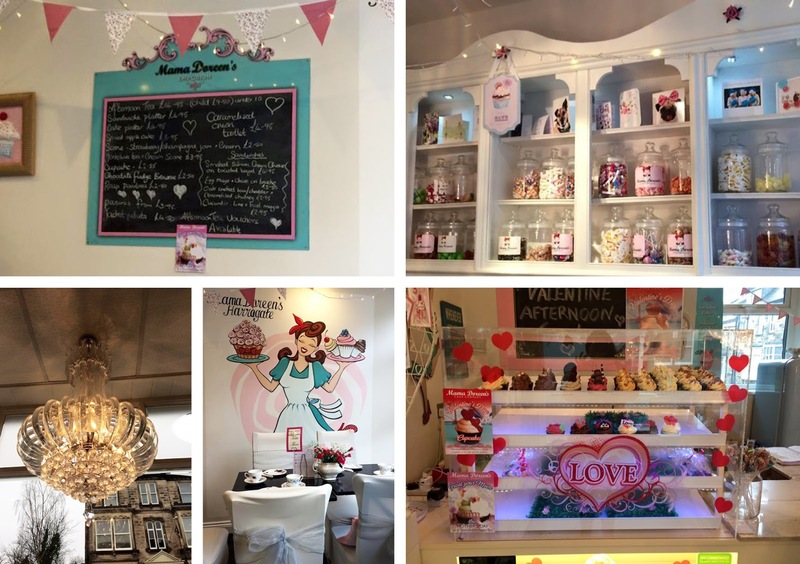 Beyond the shop area is the tea room and oh my, it’s so glam and girly without being tacky – we all loved it! We were seated in the window and even though it was grey and raining outside (good old January weather!) it was lovely to watch the world go by. Initially we planned to order 2 afternoon teas between 3 and a cake platter but they got the order wrong and brought out 3 afternoon teas. We forgave them though as honestly, I have never ever seen such an amazing arrange of cakes and sandwiches. It was utterly stunning – truly scrumptious. I snapped a few photos on my phone but we were too busy enjoying ourselves to take any more. Not only did we have sandwiches but there were also a few slices of quiche. The scones were delicious and I lost track of how many cakes there were. They even brought out a side plate of 3 slices of Victoria sponge and a birthday cupcake for me! None of us could finish it and we all ended up bringing a box of goodies home with us. The service was truly impeccable too, I could not fault it at all. At the last afternoon tea we went to they wanted to charge us for more tea (!) while at Mama Doreen’s the pots were kept well topped up. I was asked when baby was due and one of the waitresses told us that there has been a spate of pregnant women going in to labour after visiting there, thankfully that hasn’t happened to me! I really could go on and on about how good Mama Doreen’s is and for the bargain price of £15, you can’t go wrong. It’s definitely up there with the best afternoon tea I’ve ever had and I’ve had a lot! Thank-you Mama Doreen’s for a lovely afternoon, we will definitely be back! I was not asked to write this review. We paid for our visit in full, I just wanted to tell you all how good it was.